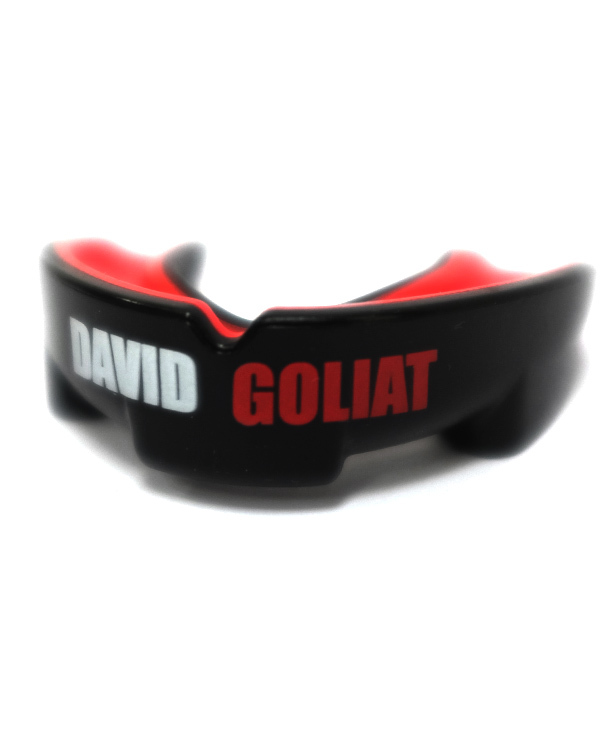 Professional mouthguard, ergonomic, with a cool design. Black outside and red inside. It offers a máximum comfort, protection and flexibility for fighters. Designed to breath and speak easily. It comes with a designed box with brand logo on it. 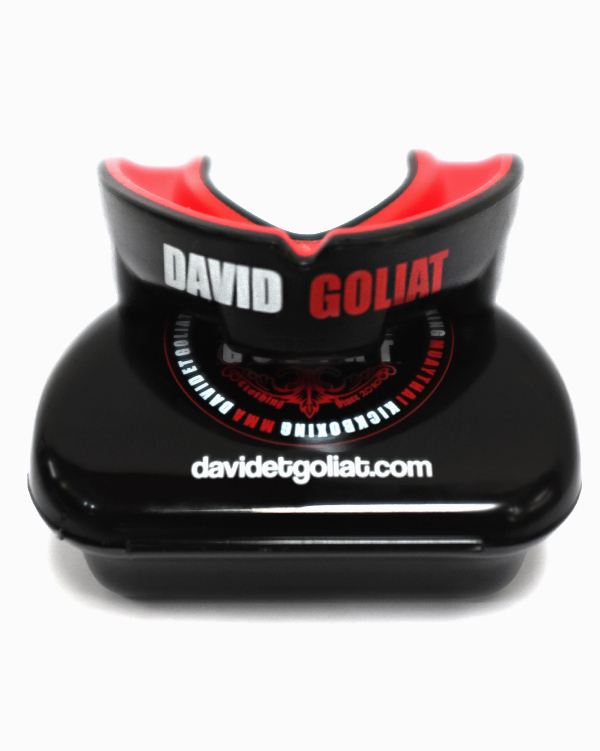 Professional mouthguard, ergonomic, with a cool design. It comes with a designed box with brand logo on it. It offers a máximum confort, protection and flexibility for fighters. Extra long Wraps 550 cm lenght, for a máximum protection of knuckles and wrist. Model: Roll Colors: White/ Royal blue/ Navy blue/Black Material: 100% Cotton New David et Goliat Gi model “Roll” has a spectacular design that includes several details like embroidery in shoulders, jacket and trousers, paying attention at the back embroidery. Details in arms, legs and rope with logo on it. Quality, lightness, durability and cool esthetic made this Gi one of the best kimonos at present. The inside jacket has been covered with a sublimated fabric in order to become softened in contact with skin. Belt not included. Model: Primero Colors: White/ Royal blue/ Navy blue/Black Material: 100% Cotton This Gi has a very modern design, with David et Goliat embroidery logos in jacket and trousers. Details in arms, legs and rope with logo on it. Quality, lightness, durability and cool esthetic made this Gi one of the best kimonos at present. The inside jacket has been covered with a sublimated fabric in order to become softened in contact with skin. Belt not included. Leather Black and Green leather shinguards with a really good protection for training and tournaments in diverse disciplines such as Muay Thai, kick boxing or MMA. Good fastening by velcro. 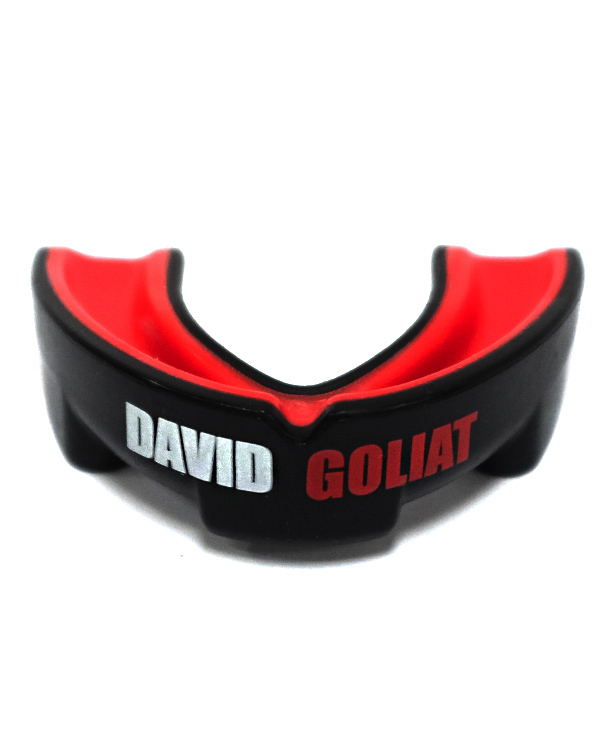 Professional mouthguard, ergonomic, with a cool design. Black outside and red inside. 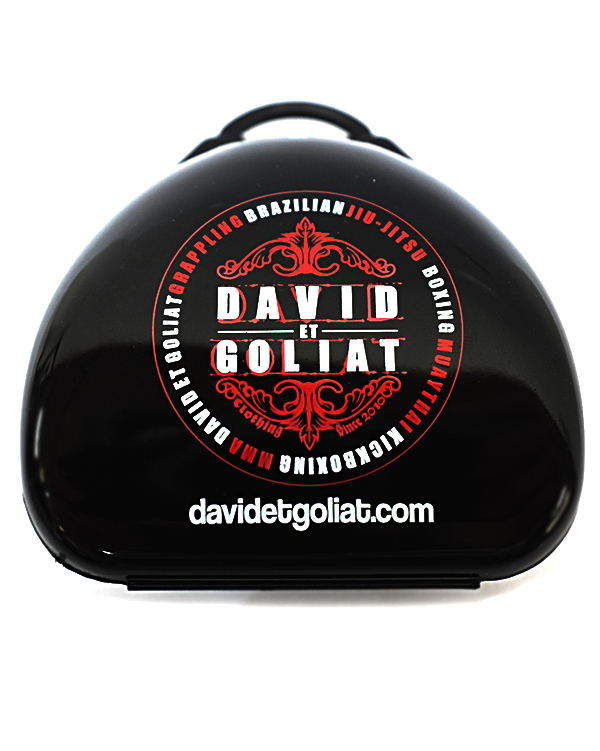 It offers a máximum comfort, protection and flexibility for fighters. Designed to breath and speak easily. It comes with a designed box with brand logo on it.